School lunches are a tough topic on their own but, toss in a picky eater and they become a bit more of a challenge. Keep in mind that each child has their own preferences and those preferences can change. 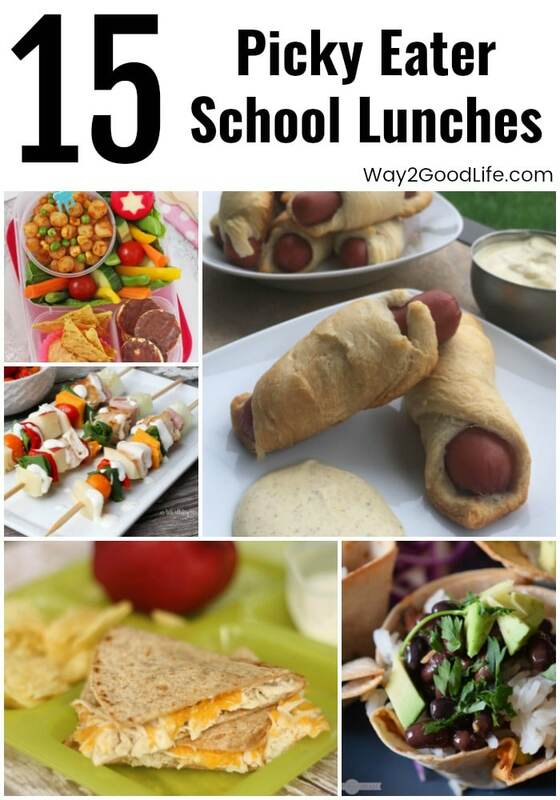 That’s why we are happy to share some of our favorite 10 Picky Eater School Lunches with you today! Don’t be afraid to “challenge” them every once in a while by adding new foods to their lunch boxes. One of the best ways to make your kids happier with their school lunch experience is to make it fun! These are great ideas that kids will love, but you can’t forget to dress things up a bit. Try using a Bento Box for packing their lunch, or some fun shaped sandwich cutters to make things a little unique. Of course, you shouldn’t forget to pickup a Thermos to send leftovers to school with your kids! Moms everywhere know how hard it is to make sure kids eat what is packed in their lunch. These recipes are great but easy options. They are full of flavor, healthier than ready made meals, and are sure to please a picky eater in no time!